After few weeks of introducing myself to emby environment and after I successfully but incompletely migrated from Plex (looking for ways to migrate plex 1000+ collections to nfo tags or whatever) I collected some opinions and thoughts on all that... so here it's part of it concerning emby app for Apple TV. I miss some way to refresh active page/app so changes made on server could be seen on Apple TV without having to restart the AppleTV app. Also missing in iOS app. 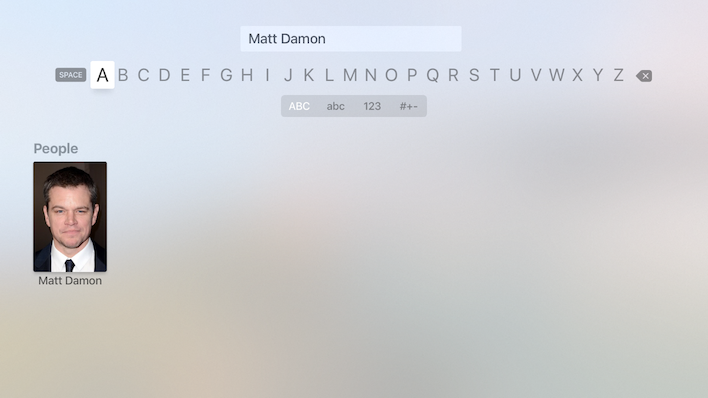 I am aware that searching is ongoing feature you're working on to improve so at this point I just want to point out I miss searching for actors in addition to only title searching on Apple TV. Since this is available on other clients and server. Though sometimes there is year shown but wrong and it doesn't correspond to date added o release date from metadata, I can't figure out what is it. I miss number of items in active library. Filtered or not filtered, favourites or collections. When you browse your libraries "to be inspired" and then to choose a movie to watch thumbs always look more inviting and "describable" than posters. There is just too many cases when there is no posters available or posters look bad or you have to use same DVD collection poster for bunch of Charlie Chaplin short movies for example because individual posters differ so much in quality, design, size and type and that looks strange. And at the same time you can always find or easily make movie background/fanart/thumb which is unlikely with posters if you want it looks decent. I love centered items list in emby server. When you have 2-3 items listed it looks way better. Especially in mixed content libraries, subfolders etc. I think it is already mentioned somewhere as feature request or something. That would be definitely useful: in movie details page, beneath similar/recommended movies, a list of movies from collections a given movie is also part of. First thank you for taking the time to provide feedback. I'll try and address each point one by one. This is a work in progress across the application. 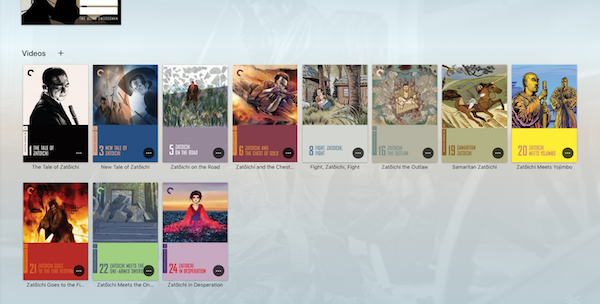 We've implemented new automatic refresh functionality in the Movie library and will be bringing it to other sections in the future. There are a number of limitations with the player interface in tvOS 11 and earlier. We are working on a new player and once we get the basics delivered we'll consider how we can provide additional information. I've added this as an enhancement request to our internal tracking system. Thanks for suggesting it. I'd like to understand this request a bit more. Can you clarify what you're asking for here? I miss at least an option to view library items as thumbs (fanart/backdrop/backround, whatever it is called). It is somehow supported (unintentionally it seems to me) in mixed libraries but only when primary image is thumb image. I've also added this as an enhancement request. Thanks for suggesting it. I'm not sure I understand this problem. I just tested setting favorite on and off for both a TV show and a Movie and it works as expected. Any detail you can provide would be great. There's a bit here so lets unpack it a bit. First, not showing info preview when there's more than one row. That was a conscious decision by me because I personally thought it created a jarring experience when I was testing it so I opted out of including it. Second, the structure of this collections view matches the behavior of the other TV based devices like Android TV. I've added these both as enhancement requests. As far as this goes, yes this is something you can expect to see in all Emby apps in the future. Thanks ! Hey, thank you all for your answers! 1. Let me just apologise for not testing some things again right before sending this report. Mainly regarding searching people but that was definitely not working some week ago when I wrote it down! 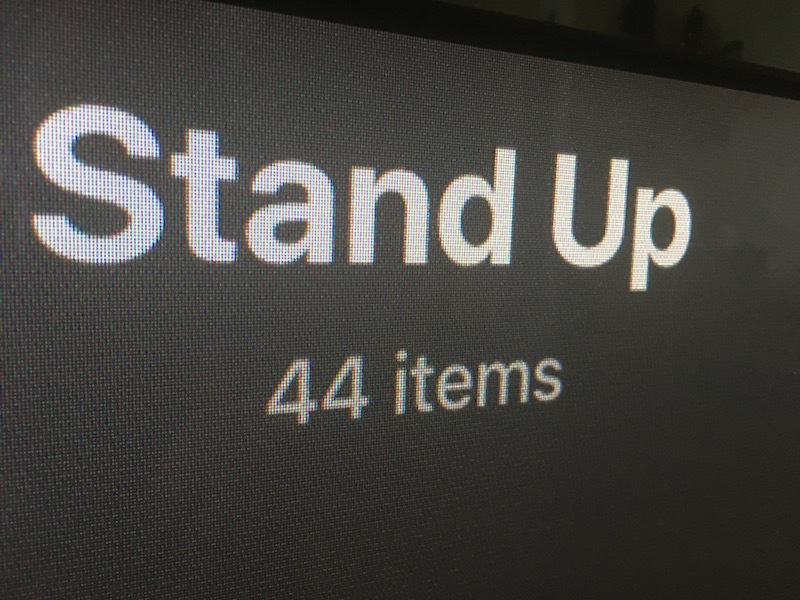 ...Collections, Folders, Photos, Music Videos, TV Shows and Mixed Content Libraries has this item count shown but Movie libraries are missing this. 3. Favourite on/off button also behaved differently a week ago when I wrote it down but here's how it behaves at the moment: it does respond immediately when clicked to show the favourites and it also responds immediately when clicked again to show all content UNLESS there is no favourites to show when clicked (zero), THEN un-clicking favourites doesn't respond - I have to exit and re-enter the library. There's a bit here so lets unpack it a bit. First, not showing info preview when there's more than one row. That was a conscious decision by me because I personally thought it created a jarring experience when I was testing it so I opted out of including it. Second, the structure of this collections view matches the behavior of the other TV based devices like Android TV. ...and not in one row. If you cannot tell we redid the movie library to create a smoother and functional experience that was more aligned to the other clients. I chose not to include the item counts primarily due to performance. A user shouldn't be able to tell but we transparently fetch 'chunks' of content as you scroll down the screen. This allows us to load the first view really fast and then efficiently get data as you need providing a smooth experience. Constantly fetching the item counts, especially with filters and sorting applied would slow this process down and hence why we don't show it. Okay this looks like a bug so thanks for reporting. I'll note it down and take a look when I have a moment. As far as I know this is not easily possible with the tools Apple gives us. It would probably take way more effort than the value you'd get from it. Additionally according to Apple they prefer that applications horizontally scroll when possible because that's an easier interaction than trying to scroll vertically. Ok, I understand and I appreciate your effort to explain the things. I surely can live with those compromises on behalf better efficiency. I am looking forward to those things you put on enhancement list. Thanks. We just pushed a new version (1.2.12) today that increases the limit of what's shown on the person detail view. If you force close the application and restart you should be able to see many more items. Please let us know what you think! Good timing! I just sat down in front of the Apple TV and trying to see all Steve Martin movies I have... Works great. Thank you! I hope it works for TV shows also. Is there someplace where emby Apple Tv app changelogs can be seen? It should work for TV shows as well. Edited by corey, 18 June 2018 - 02:08 PM. Yes, I know but I noticed 2 updates of Apple TV app since last announced update on blog (v. 1.2.09) so I was wondering is there some other place to see changelogs, like https://github.com/M...r/Emby/releases. We currently don’t post changelogs anywhere else for the tvOS app. Typically the releases that don’t make the blog are bug fixes that are important enough to get out there very quickly.